Perrott’s Folly in Edgbaston, Birmingham, will be permanently opened if enough money can be raised for its restoration, its owners have said. JRR Tolkien grew up in the area and would have passed the old hunting lodge every day on his way to and from school. Historians believe Tolkien would also have seen the gothic tower dominating the horizon from his bedroom window as a boy. 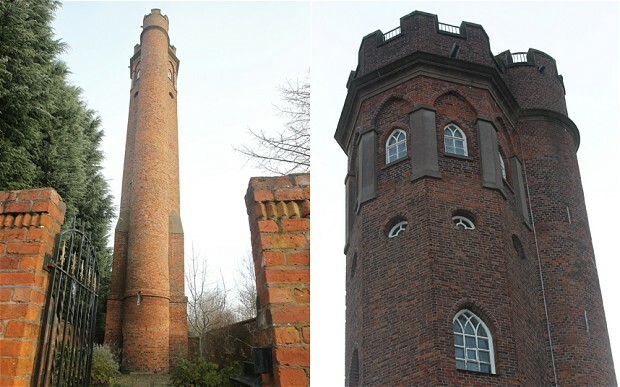 UPDATE: If you’re interested in learning more about Perrott’s Folly, we understand that Trident Reach the People Charity is the organisation co-ordinating the restoration effort. You can learn more about them, and even make a donation if you’d like, here. Nearby Edgbaston Waterworks tower is thought to have been the second tower which inspired the book. Dozens of Lord of the Rings and The Hobbit fans make the pilgrimage to the 18th century tower each year as part of the Tolkien Trail, an unofficial route established by diehard followers of the fantasy series.